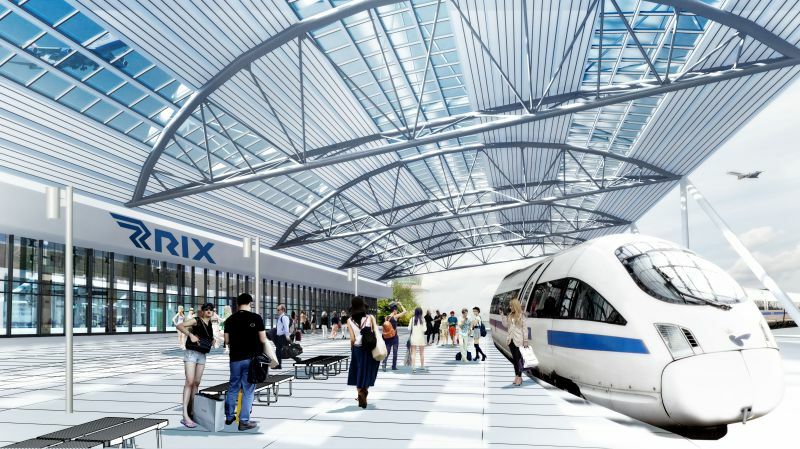 EDZL, the state-owned organisation established to implement Rail Baltica in Latvia, has awarded the construction design and supervision contract for Riga International Airport’s new railway station and related infrastructure. The winning party of the international tender was the PROSIV consortium, which is comprised of consultants Sintagma, of Italy, designers Prodex, of Slovakia and engineering firm Vektors, of Latvia. 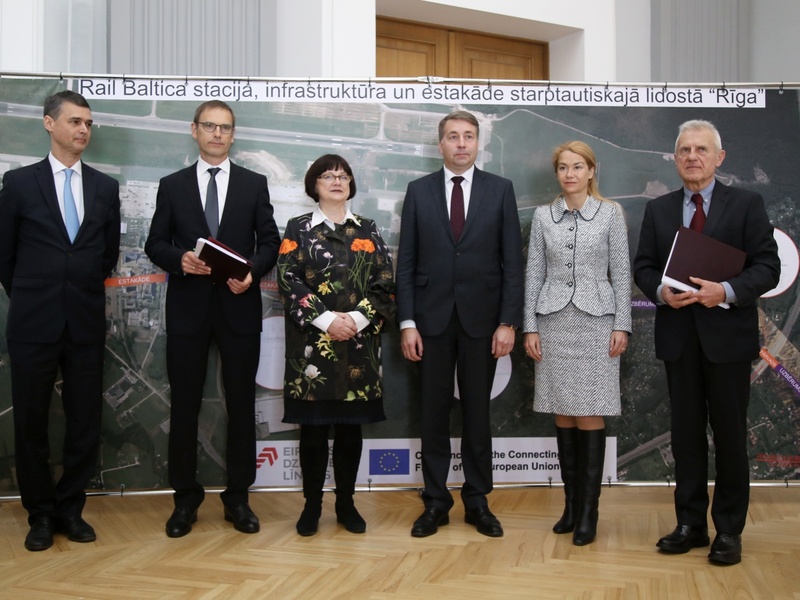 Valued at €4.5 million, it is the first Rail Baltica construction design and supervision contract signed in the Baltic States. As part of Rail Baltica, which aims to better integrate the Baltic States within the European railway network, a 4.4km standard gauge railway is to be built from the centre of Riga to the capital city’s airport. Part of this line, approximately 2km across the airport, will run on a viaduct to a new station at the airport. This project will not only provide a new route for passengers to get from Riga to the airport but will also create a cargo link to the airport. Careful planning will now take place over the course of the next 17 months, taking into account other major works at the airport, such as the expansion of the airport’s terminals and the construction of a new air traffic control tower. The contract also includes supervision work during construction. Riga International Airport chair Ilona Līce said: “A modern and up-to-date airport is not imaginable without a connection to a railway system. For Riga airport, which is developing more and more faster and serving more and more passengers, this element has so far been a major drawback. The contract was signed between EDZL and PROSIV on March 20.